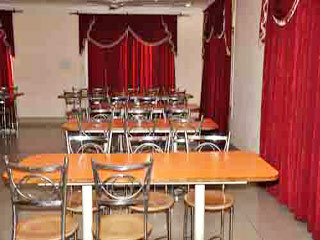 Hotel Kerni Palace in Katra offers guests the option of indulging in budget accommodation whenever they visit this town. The comfortable rooms of the hotel ensure that guests will be well taken care of. The hotel has 38 rooms that are spread across standard and deluxe categories and come complete with all modern amenities and facilities. The hotel lawn and garden makes for a magnificent sight and since most guests are on a pilgrimage, the quiet attentive service of the hotel will be much appreciated. Family/Child Friendly, Express Check-In/Check-Out, Airport Transportation, Room Service, Backup Generator, Exhibit Space, Parking, Security Guard, Restaurant, Baggage Storage on Request. Slippers, Cable/Satellite TV, Air Conditioning Room, Television Room, Shower Caps, Bathrobes, Attached Bathroom, Room Heater, H/C Water, Complimentary Newspaper. User reviews for "Kerni Palace Hotel Katra"